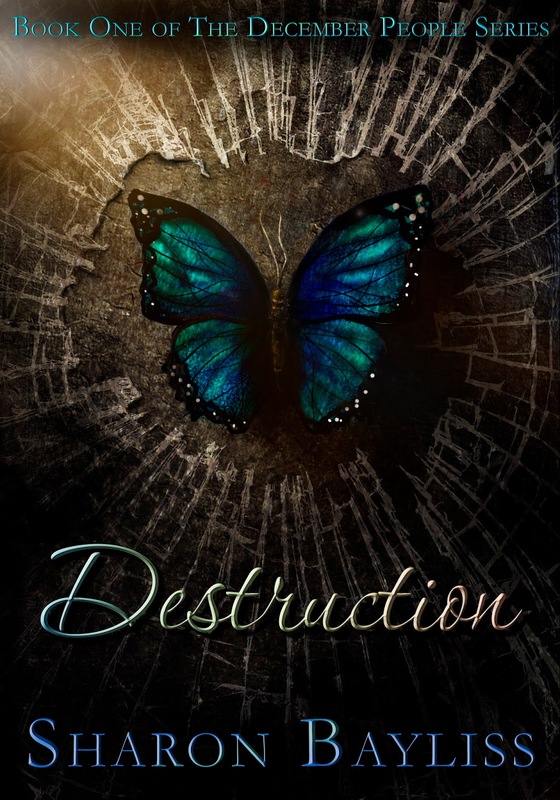 Sharon Bayliss: The cover for Destruction is here! looks and sounds AWESOME! Grats. I do not have a blog but I am really intrigued by this book and am so glad I saw your Twitter feed and the link to this page. I DO write reviews - not always for the books I just read for myself, but definitely for books for which I have promised the author a review. I signed up on your form to help spread the word on release day and also to write a review. I would be honored to help out if chosen; if not, I will still be on the lookout for the book on April 4! Hello Holly, I'm glad you found me too! :) Thank you for signing up to help. I really appreciate it. I should have an ARC to give out as soon as tomorrow and would honored to have your review. Excellent. Book trailers are so darn important and you've got a great one here. I hesitate to add it to my TBR list for personal reasons though since my current series is about wizards also. I wonder if that is a by product of writing. Thank you Carol!!! I'm so glad you like it. Let me know if there is anything I can do to help you promote your series.